At the first sight it does not stand out from the other cameras. The selected color is silver, but the materials this photo camera is made from, are of good quality. 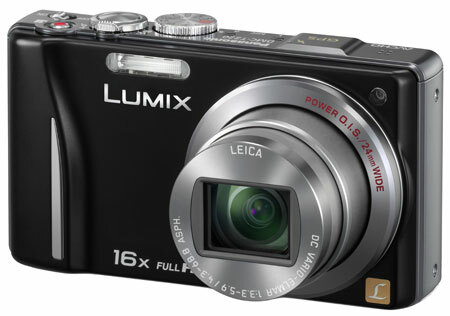 It doesn’t wonder with weight or thickness and is not a slim photo camera because Panasonic wanted to make a simple photo camera device that is user friendly. The controls buttons placed on the superior side are easily accessible so if you want to capture a photo that will be very simple. This photo camera includes touch screen so when you will want to focus a specific area, you will need to press with your finger the emphasized area. The video release button is positioned on the superior side unlike the other competing photo cameras where this button is located next to the LCD screen. The 3D mode is a new technology for photo cameras and it put you to move the device from left to right because it will capture 20 photos very fast and it will automatically selects two of them and compresses them into a 3D image. This photo camera also include a GPS that works only when this is activated, even if the device is switched off and it has a notification LED which informs you that the GPS is still working. It memorize the latitude and longitude for each image and it displays them when you will upload them on Google Earth or Google Maps. The automatic mode makes everything to be easy for a beginner. It is based on quick-autofocus, digital red-eye and it also removes the flash effect. An interesting option that this camera include is the Face Recognition. It remembers up to six faces and it will highlight them everytime when the faces appear into the frame. The recorded videos benefits stereo sound. 320 x 240 pixels at 30 fps. The images on JPEG format are about 4 to 5 MB at 14 megapixels. The focus is fast, but when this device save an image on the SD card it takes several seconds which for some people can be very annoying. It has 18 MB internal memory and SD card slot. It brings connectivity via HDMI and it can be connected on PC via USB 2.0. It charges quickly and the autonomy given is sufficient for a few hundred photos. The battery pack is rechargeable as mobile phones .